Reptiles are wonderful pets to have be a part of the family. However, some species are more difficult to care for than others, and some fail to thrive when kept in the common household. Reptile rescues everywhere are completely full and countless more reptiles die every year simply because people don’t do research before choosing a pet reptile. Some of the most popular species in the pet trade are actually the worst for beginners, but cheap price tags and unknowledgeable sales clerks at pet stores lure people into the trap of having a pet that grows too big, takes too much time or money, or is dangerous and too aggressive. Before choosing any type of pet, you must be willing to do hours and hours, week upon weeks of careful research. Don’t trust any one source for information because it could be wrong or outdated. Read books and multiple care articles from several different sources. Ask people who have experience with the species you’re interested in for stories, tips, etc. And remember to plan ahead… Reptiles live a long time and life circumstances can change suddenly. Are you truly committed to preparing your reptile’s food several times a week for the next 20 long years? Do you really see yourself being able to complete weekly water changes once a week for an aquatic turtle for the rest of your life? Be honest with yourself when choosing the correct pet. Chameleons are unique, interesting reptiles that fascinate people. They can change color to blend in with their environment, have bizarre habits/behavior, and have an alien-like body shape. It’s easy to understand why folks looking to add their first reptile to the family would want a chameleon. However, these animals are not at all hardy. They need their habitat conditions (temperature, humidity, ventilation) to be perfectly correct or they will get sick and eventually wither away. They stress very easily and can actually die from stress alone, and they should never be handled. Chameleons should strictly be a look-don’t-touch pet. 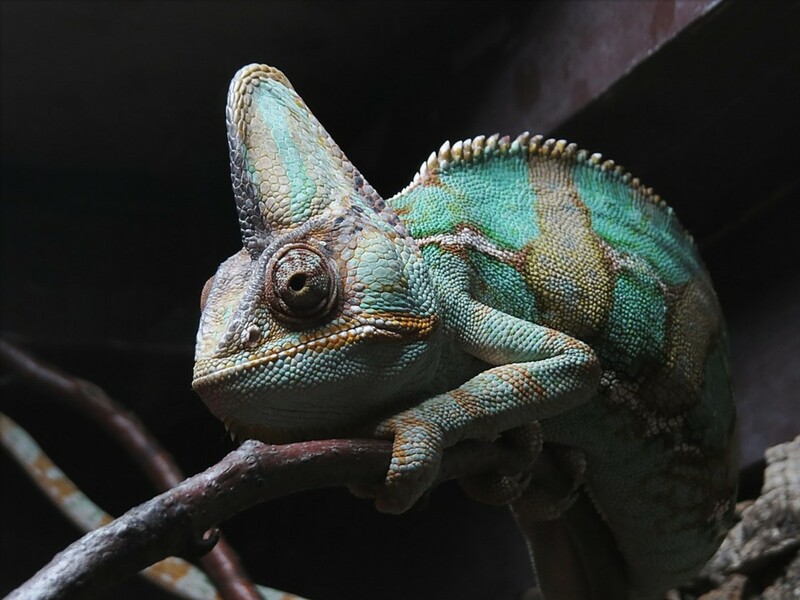 It’s important to note that keeping chameleons can be challenging even for experienced keepers, so beginner hobbyists should avoid them as their first reptile. 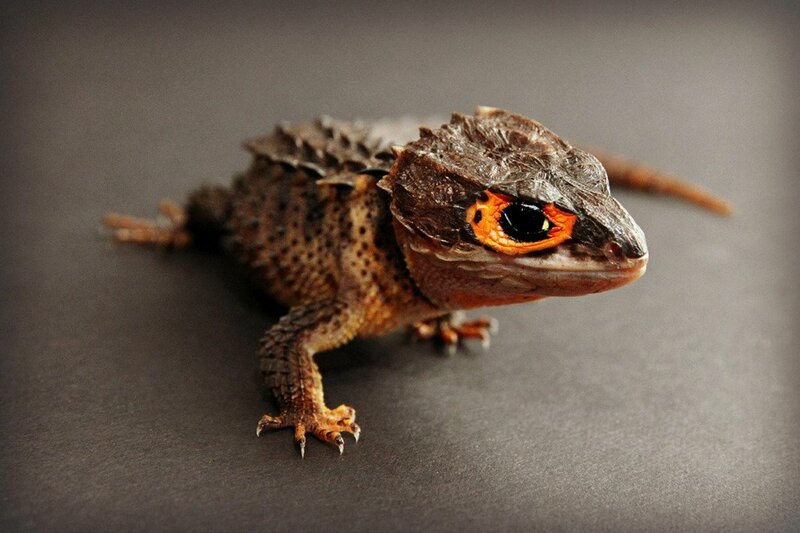 Baby Chinese water dragons (CWDs) are unfortunately sold for a relatively cheap price in pet stores. As babies they resemble cute little green dragons and as adults they look like mini dinosaurs. Because CWDs are usually purchased as babies, a new hobbyist may not realize what they’re signing up for. 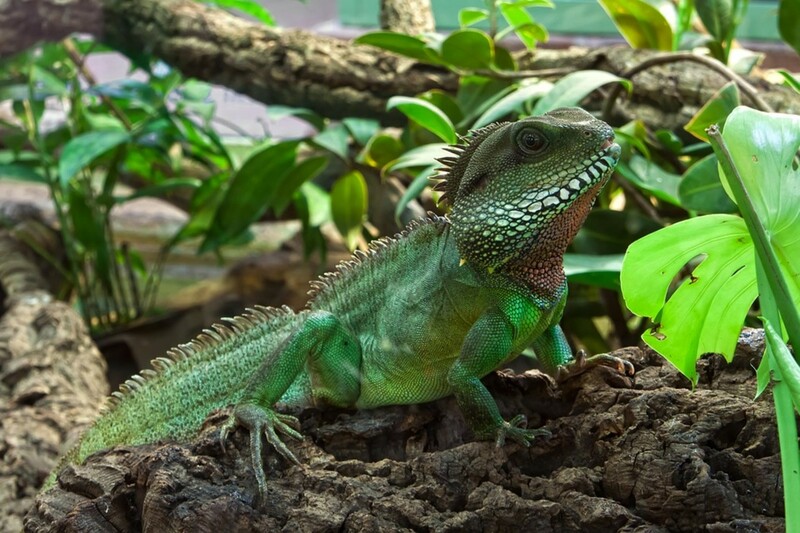 Water dragons grow very quickly; by one year of age it will be a foot long and by two years of age it will be two or three feet long. Being an arboreal species, a full-grown adult requires a custom-built enclosure that is at least six feet tall and at least four feet wide, which is an endeavor requiring hundreds of dollars. Additionally, a growing lizard needs quite a bit of expensive food quite often, and an adult never loses its big, hearty appetite! 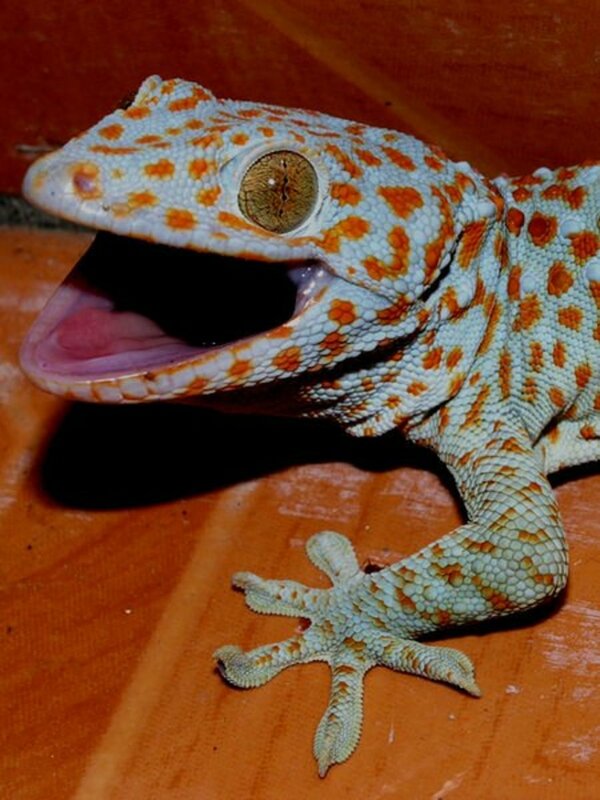 Tokay geckos are widely available in pet stores for a cheap price. Their beautiful coloration makes them a desirable species by many hobbyists, especially if the prospective pet owner happens to be a NFL Broncos fan. But these little lizards are incredibly aggressive and speedy animals who won't hesitate to lunge towards you, deliver a nasty and powerful bite, and then zip past you and escape down the hallway. 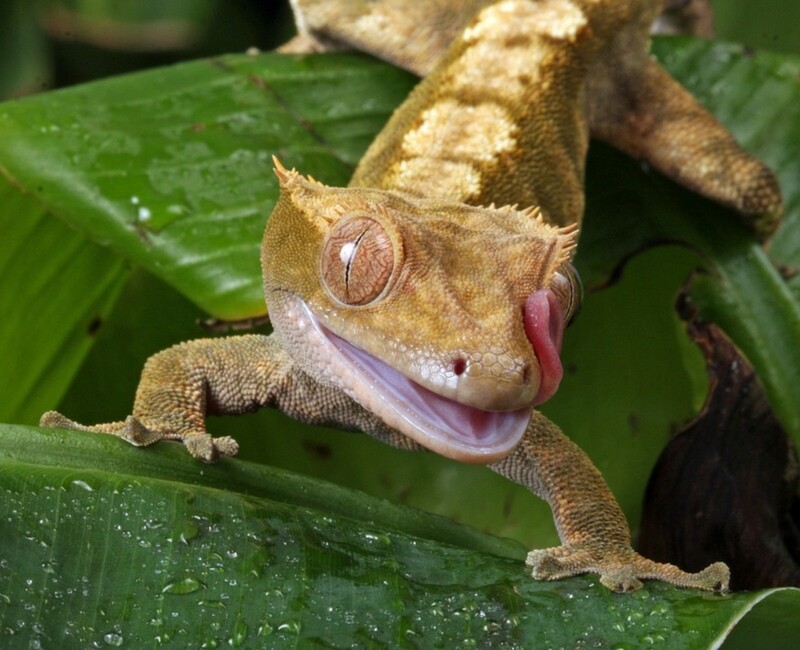 A new reptile keeper should get a crested gecko or leopard gecko instead as these two species have many gorgeous color varieties without the aggressiveness of the tokay. Iguanas get huge and mean. 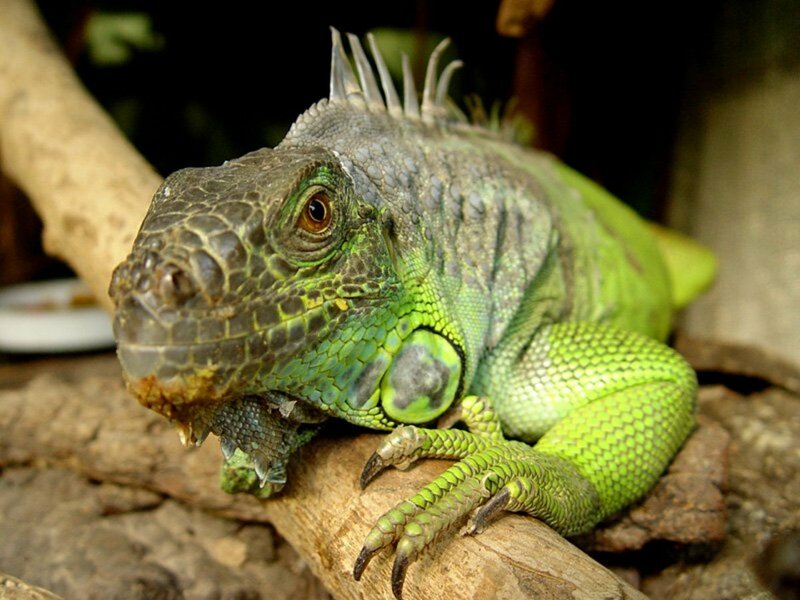 A six-foot long iguana needs a cage that is twice-as-long (12 feet) as its body. Being semi-arboreal, they also need very tall enclosures. Their claws and powerful tails are perfectly equipped to cause you great injury whenever the lizard is feeling in a particularly feisty or aggressive mood. During breeding season they can get hormonal and become downright crazy. They also need extreme amounts of UVB in order to stay healthy and need to be fed a complicated diet of harder-to-find vegetables (more than just lettuce and kale). 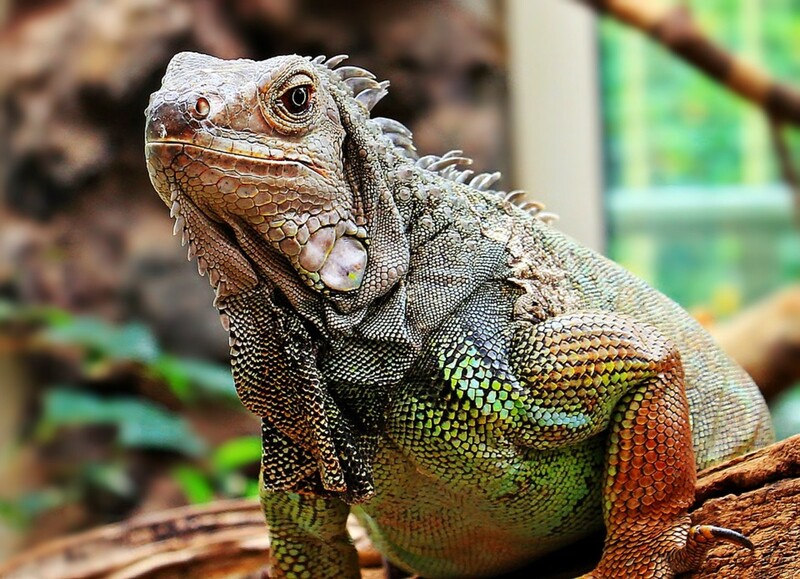 If you’re caring for an iguana properly, you’re spending thousands of dollars. One would hope it’d be common sense to avoid getting a caiman or alligator as a pet, but it’s important to talk about why. Alligators grow to monstrous sizes and are dangerous and unpredictable. Caimans don’t grow to be quite as large as alligators, but they still get BIG and are still able to cause severe injury. 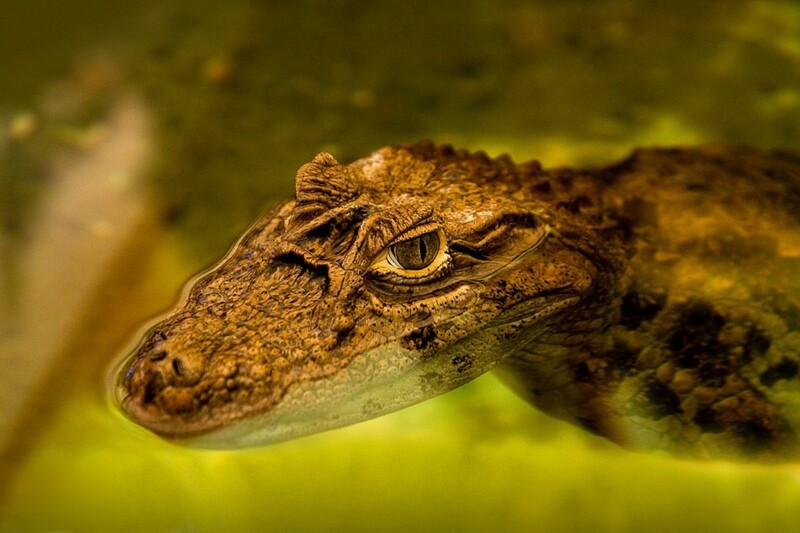 Both alligators and caimans will require large pond-sized enclosures as adults, and the cost of feeding one of these reptiles would be enough to break some people’s bank accounts. Most pet alligators/caimans end up dying due to neglect or improper care, or they are destroyed or euthanized because they have no home to go to once they’ve grown too large. The only way to care for an alligator or caiman correctly is to, again, spend thousands of dollars. No species of monitor lizard should be kept by a beginner reptile keeper. Do you really want a mini pet Tyrannosaurus rex running around your home when you don’t really know what you’re doing? I don’t think so. Savannah monitors, for example, can be bought at a pet store for $40-$50 as a baby, but within only a couple years it grows to be a five foot-long hissing, biting, tail-whipping carnivorous monster. Granted, if you spend massive amounts of time and energy raising it correctly, it may be tamer than that. But it’ll still be a huge, powerful lizard that can injure you with a simple flick of its tail. Risk of injury aside, these giant reptiles require a diet of tiny insects like crickets, and buying massive amounts of insects get expensive very quickly. Don't forget the money you'll need to spend building a massive, monumental enclosure! Or you'll need to pay to have someone build it for you. Tree monitors are just as complicated. They still get big and they require perfect temperature and humidity. They’re not very hardy towards improper conditions and they’re also little hunger machines who will eat all your money. 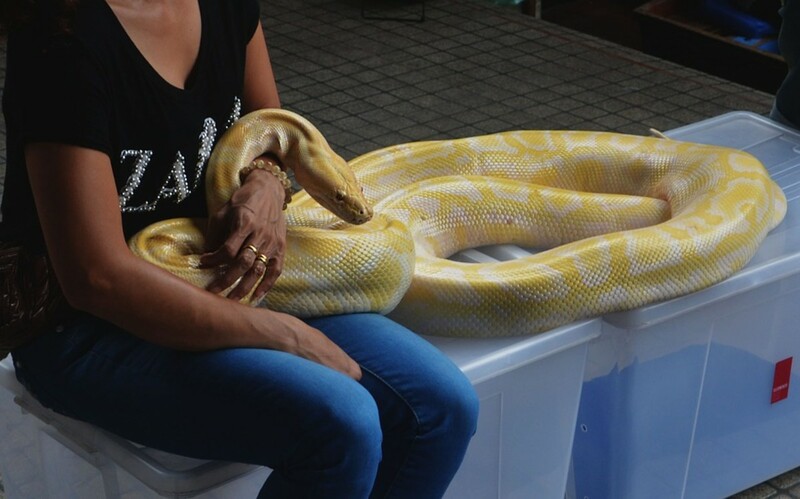 Pythons that get large, such as rock pythons, reticulated pythons, and Burmese pythons, should be avoided by all but the most experienced and financially-stable snake keepers. These species do not tame well and are usually still quite aggressive as adults. They require enclosures the size of an entire small room in your house and are incredibly expensive to feed. The owner must also always take care around these massive snakes because they can use their 22-foot-long, heavily-muscled bodies to kill people. 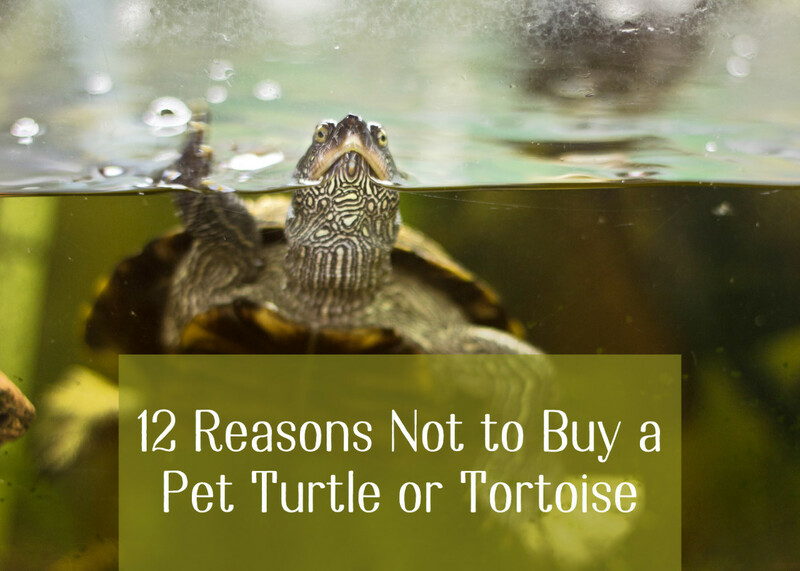 Turtles and tortoises are very popular and sought-after pets. However, they are stubborn, hardy animals that do not reveal or show when they are unhealthy until it’s too late. For this and many other reasons, they are not good for beginners. 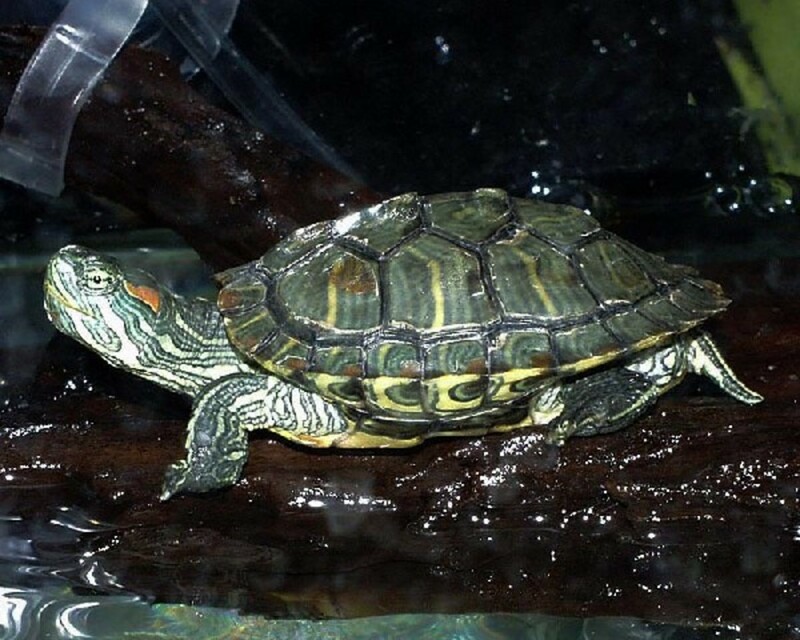 The #1 homeless and sick reptile out there is probably the red ear slider, a cheap and easily-obtainable aquatic turtle. When folks buy these turtles they don’t realize just how much poop turtles can produce. 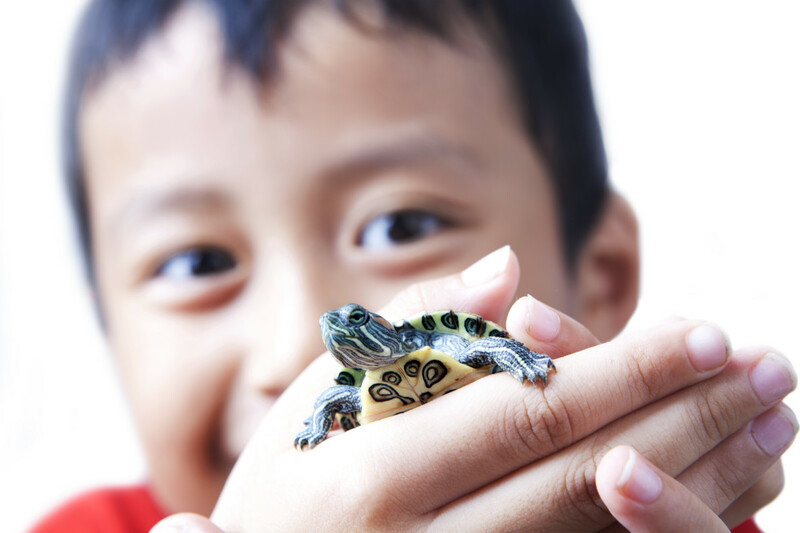 People are also surprised when their turtle outgrows its aquarium and needs an enclosure the size of a small pond. Other care requirements are often very misunderstood as well. Turtles may attempt to eat the live fish you feed them but it’s not what they should be fed. 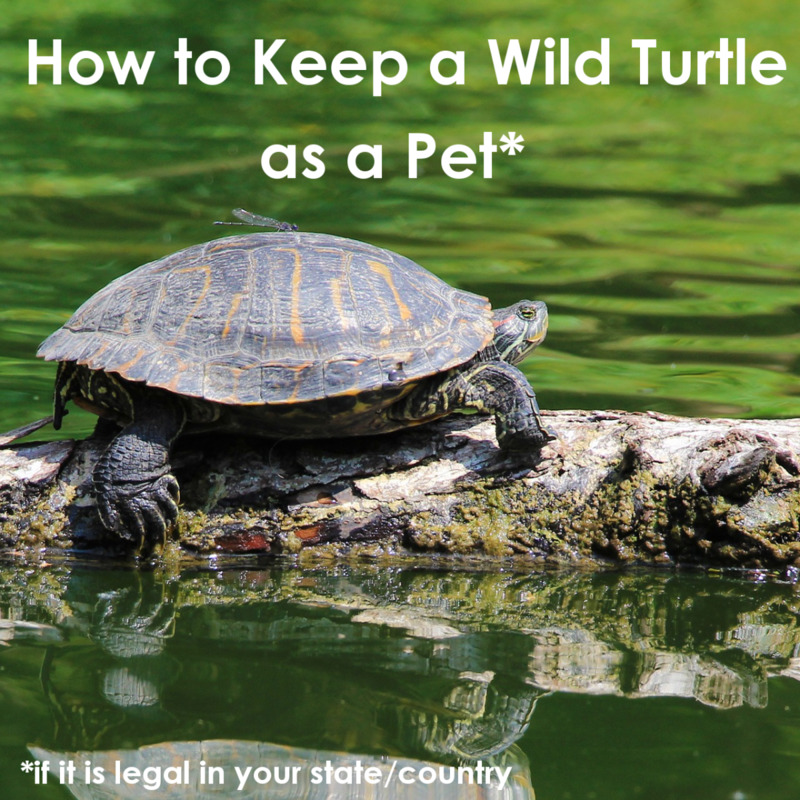 And even though a turtle is an aquatic species, it still requires a land area where they can leave the water and bask under a heat lamp. Box turtles are also incredibly misunderstood. 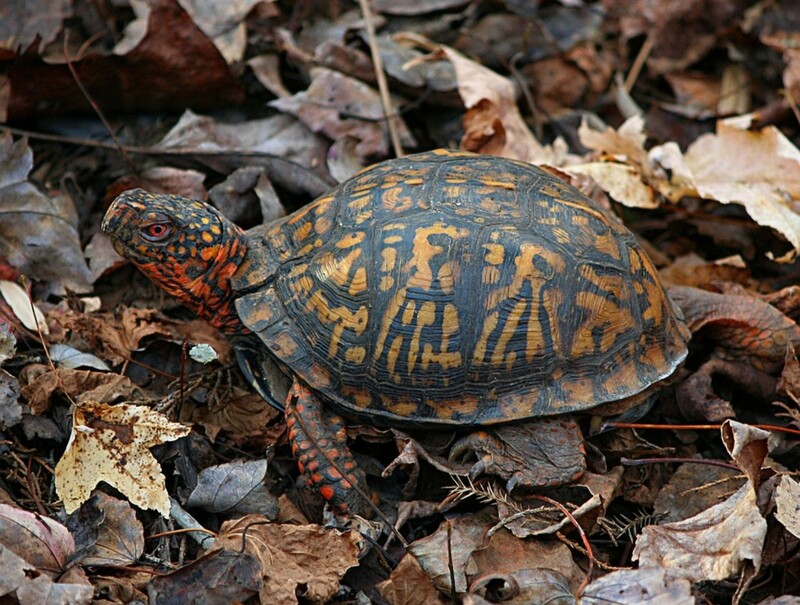 The popular species found in the hobby include the ornate box turtle, eastern box turtle, and three-toed box turtle. All three species, unless they are labelled as captive-bred by a breeder, are wild-caught and the wild populations are suffering for it. Wild-caught individuals spend their first few years in captivity stressed, and the majority of them die in captivity due to improper care. A healthy box turtle is constantly active during the day and has a huge, healthy appetite. They are very difficult to maintain, and the best way to house them is in large outdoor turtle pens. Even though they are small animals, a single turtle requires a minimum enclosure size of about eight square feet. They need an incredibly varied diet but box turtles are notorious for going on hunger strikes and holding out until they are fed their favorite “dessert foods” like strawberries… this is not healthy for them and an experienced keeper will know how to properly regulate their turtle’s diet to prevent hunger strikes. Tortoises present many of the same predicaments as turtles. They need to be provided with much more space than they are usually given, and even the smaller species found in the hobby, the Russian tortoise, requires a large enclosure called a “tortoise table” in order to thrive. 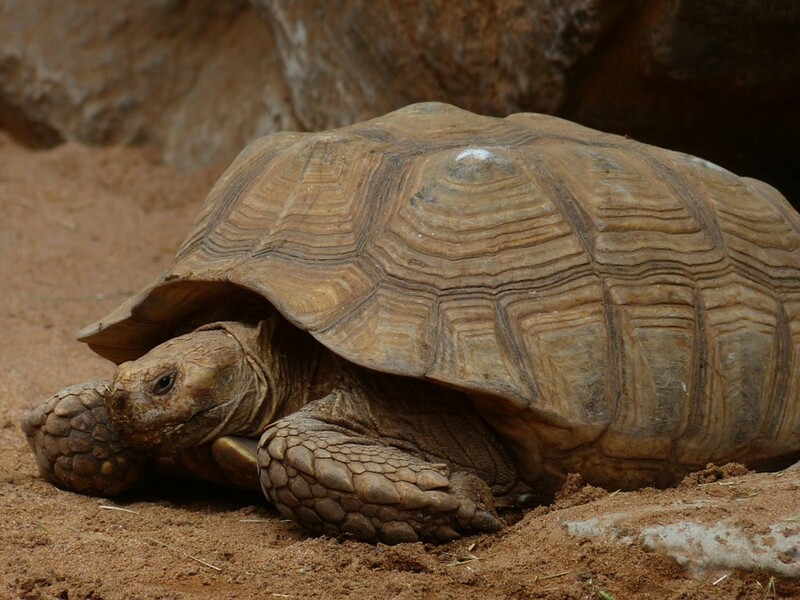 Even desert species require access to humidity via deep substrate and burrows, and some species, such as the red foot tortoise, need a perfect mix of fruit, vegetable, and protein in their diet or they will begin to grow unhealthy shells (called “pyramiding”). The sulcata tortoise is also known as the African spurred tortoise. Sulcata tortoises (also called African spurred tortoises) are widely available as babies and are sold for very cheap prices. However, this fast-growing species requires an entire giant backyard as an adult, and they never actually stop growing (good luck getting that 300-pound tortoise to do what you want it to do). And say goodbye to that lovely backyard you’ll be keeping it in, because sulcatas dig massive burrows and tear up any landscaping or plants that get in their way. If they decide to dig under the fence, you'll have a giant escaped tortoise running through the streets! Their diets are much more complicated than giving them some lettuce and hay, and when raised incorrectly, the resulting shell deformities are debilitating and completely irreversible. Also, these tortoises live for more than 100 years, so what will happen to it when you’re no longer able to care for it? There are not enough zoos, sanctuaries, or rescues to help the numerous homeless sulcatas out there. Please be responsible. I appreciate you taking the time to read my article, and I would absolutely love to hear from you! Do you have any fun stories to share about your pets? Are there any articles you'd like to see in the future? Please leave a comment or contact me. And if you have a moment, browse through my other articles. "they can use their 22 foot long bodies to kill people"
There have been less than a handful of confirmed snakes that size, most large pythons don't get anywhere near 20 let alone 22 feet and those would be exclusively female. "They require enclosures the size of an entire small room in your house"
No, a large python will do fine in a 7 or 8 foot custom enclosure, much smaller in diameter than your average small room. Crazy idea but maybe don't have someone who doesn't know what they're talking about write about large snakes, yes large snakes are challenging to keep and not recommended for beginners but at least do a fact check before writing nonsense. I think Liz makes some very good points. Whilst it is important to stress the commitment, care, husbandry needs, money, space and time that reptiles require, it is better to educate people than to scare them. Fear is another reason lots of animals end up neglected or even killed and especially misunderstood reptiles. Any animal can injure you, large dogs are capable of killing a human, just as a large snake may be- but to say that usually retics, carpets and Burmese pythons are aggressive is a huge mistake imo. I personally wouldn’t recommend them to a begginer either, but not at all for this reason, there are lots of other things to consider when buying a reptile of this size, who eats this much and this regularly. I get where you are coming from, too many reptiles end up abandoned or neglected, but I think the attitude of reptile hobbyists don’t help at all in helping people instead of trying to stop them completely. 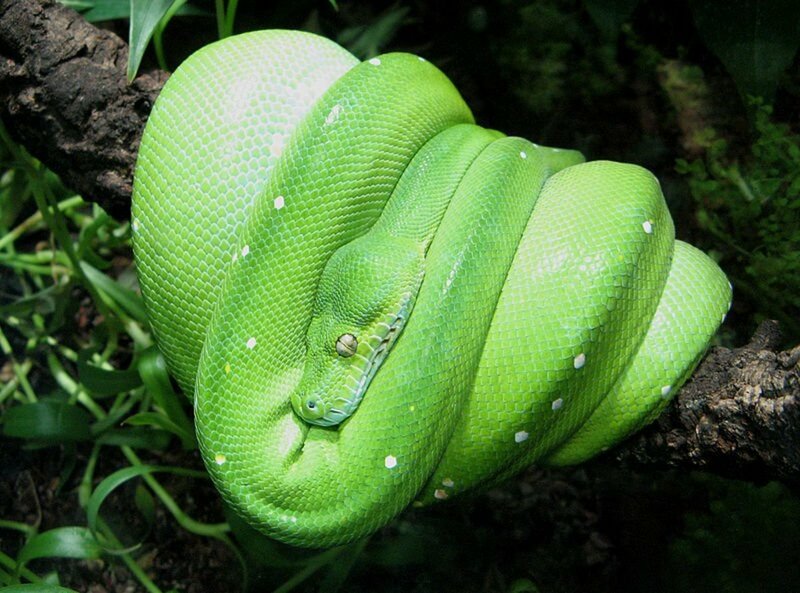 Your opening photo is not of a green tree python, it is an emerald tree boa. You make a FEW good points in this artical but not many. Why is it that everyone that thinks negatively about reptiles try to instill fear in others rather than teach a healthy respect for these animals. Why dont you just stick to the amount of maintance some of these animals require rather than them being furcious man eaters? Lets start with the monitors... Out of all the different types of monitors you could possible single out, you choose the Savannah! The reptile is not purchased because it is cheap it is purchased because of their docile temperament - yes they might hiss when cornered and strikes the ground with its tail to ward off the predator. If nothing else works they play dead NOT viciously try to take your hand off. 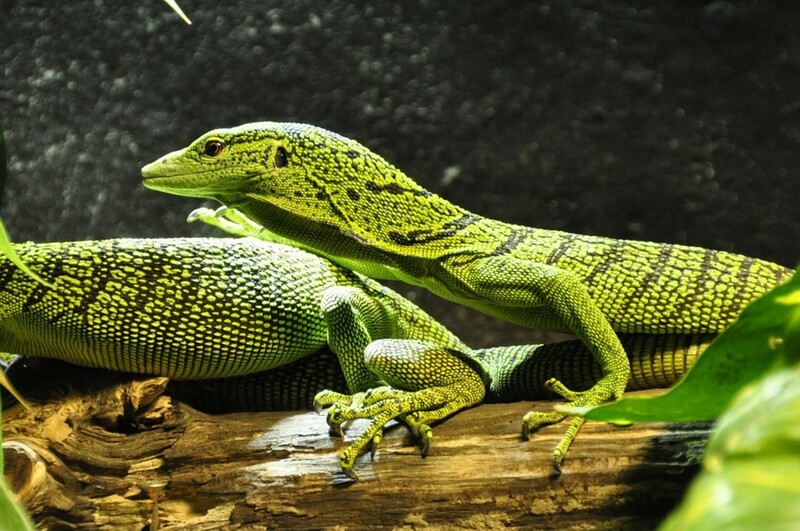 Stick the facts - they get big (usually 3.5 ft - rarely ever 5) so owning one of these lizards can and will be very expensive - building a custom enclosure to house them and feeding could deffinetly set a person back. And, while on monitors.. Ackie Monitors grow to reach an average length of 24 – 28 inches. Given the proper requirements, ackies will flourish in captivity. In fact, they adjust so well to captive situations that they are commonly coined "the perfect beginner monitor." Rarely exceeding 30 inches (76.2 centimeters) total length in captivity, a pair of adult acanthurus can safely and comfortably be housed in terraria measuring 24 by 36 inches. Snakes - tame down with age and regular handling - burms especially. They are the one snake used all over the states in snake shows and educational demonstrations because of their docile nature and undemanding requirements (not a room sized enclosure) . Again, instead of labeling the snake a man eater and getting people to fear it - Educate them. The snake gets big, the bigger the snake the larger the meal, im talking cute little bunnies and fluffy chickens, and dont forget the bigger the meal the bigger the poop. They are a lot of maintance, can you see yourself pulling a 200lb snake out of an enclose everyday just to clean some poop? Wow, i probably just convinced your readers that the burm may not a good starter snake. Crasila, just so you know, bearded dragons make AMAZING pets. I have one at home! Yeah! You’re right Kim! But to be fair, they ARE easily mixed up. Btw, please don’t judge my name. I know it’s not the best name, but it’ll do. Are bearded dragons good for beginners? 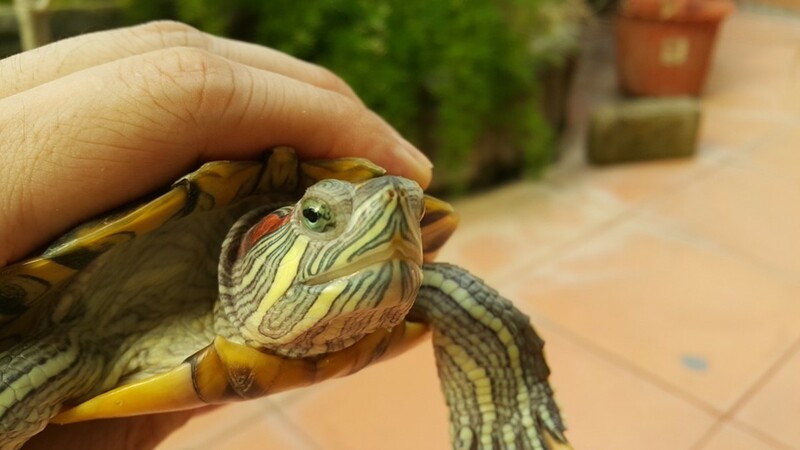 What are good turtles to get as a beginner? Hi I love what you wrote I would have never guessed that tortoises could grow new shells! I want a reptile and I thought a "mini Tyrannosaurus Rex" would a great until I read your artical. I've never owned a reptile berfore and I think a Carolina anole would be a good pet what do you think? Thanks Kim! I've updated the photo. The photo at the top of your page is not a green tree python. It is an emerald tree boa. Very common misidentification.